It's been a few months since I've dedicated any posts on running. Clearly, there have been other priorities. But with the spring approaching, I'm revving up to get in some races this year. Last year was both a struggle and a success. I struggled with a hip-strain which killed much of the summer. I floundered a little bit during June when I started the PhD program and during the semester when things got really busy. Most recently, I had to take at least three weeks off from running to let a cold finally go away that had been lingering around way too much. Yet, it was also a success. I ran my first half-marathon in under two hours. I followed this up with a five-mile race where I ran in under 43 minutes and a 4 mile race on New Years' Day where I ran close to 33 minutes (8:15'ish minute miles!). Something over the course of the year had changed that helped me find the right pace and approach to running to help me increase my time. I will never be "fast" but I am slowly moving toward the middle or even the top third of the pack--such a far cry from my youth when all runs resulted in me in dead last. And while placing ahead of others isn't necessarily a goal for me, it is an indicator of progress. With all that in mind, I'm looking to this year to continue to do well. I'm not necessarily looking to get even faster, but I am looking to be consistent in my running in terms of the times I've seen thus far. Of course, there's a part of me that wants to get under 8 minute miles for a half-marathon and at this point would just love 10 minute miles for a full. But more realistically, I just want to complete all these races this year and end the year feeling like I've (literally--hahaha) gone the distance. I did this as my starting run last year. It's a good half-marathon to start the season with and so long as the weather is agreeable, I anticipate doing ok at this one. It will be more than six months since running my last half-marathon, so I'm not breaking any records here. I just want to see where I am at. I did this two years ago when it was a full marathon. It was rough and hilly. They're advertising a much flatter course, which makes me hopeful (I'm still remembering the hills!). But being early May and with the first half-marathon behind me, I think this will better than the Fool's Dual. This is a new one that is being offered by YuKanRun (in fact, I'm signing up for many of their halfs-because they are local). They're pitching it as their flattest course, which could mean a really good time--especially by now if I'm into the rhythm of the half-marathons and am getting to run outdoors more in April and May. I forget at this point if I've done this before, but it's a good one to do before things get crazy in January with classes. I think I would be in peak performance at this point, though this is a hilly course if I remember correctly (or remember hearing about), which will be interesting to see how this impacts my pace. So I want to try this race. I've been eyeing it for a few years and they have 2 options: 12-hours and 24 hours. I will be opting for the 12-hours race. I want to see how far I get--how much I can actually run in a 12 hour period. I'm sure I will be in rough shape afterwards, but I'm also sure that it will be an interesting test. I ran this my second year of running. 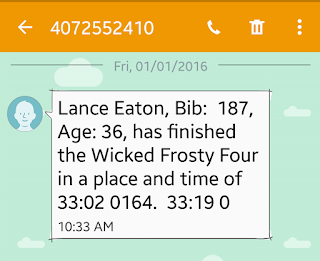 It was the first time I had run such a distance in a race. It will be like returning home in some ways but after traveled thousands of miles. 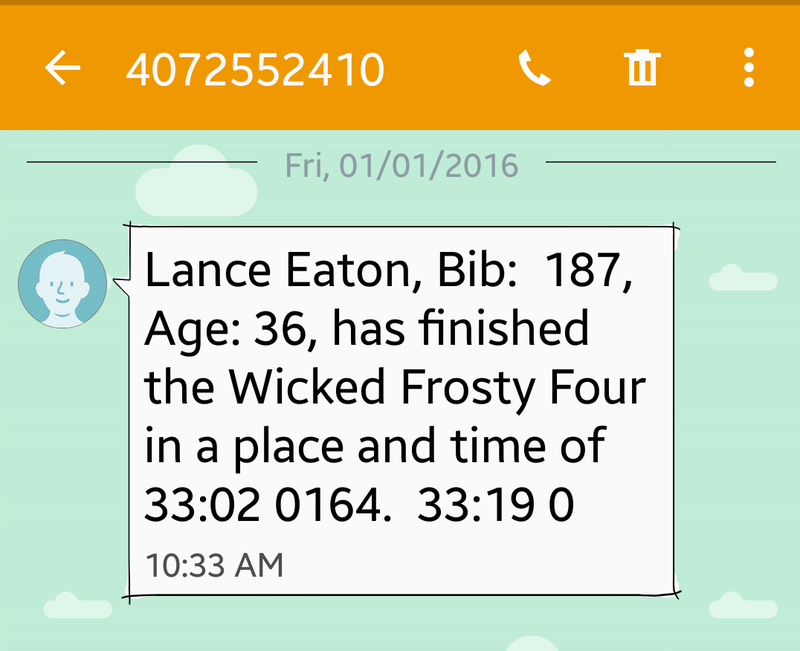 This was the race that I broke my two-hour time last year. I want to do it again. I'm not necessarily worried about doing better than last year (though that would be nice). I'm just interested in making sure I beat two hours. I skipped out last year because October was insanely busy. I am hoping I can balance things better this year and make this happen. I want to do well this year and break my previous time. I feel like this time I am in a space that I could significantly better than in my past marathons. So here's hoping! That's the season line up. I'm hoping to get to all of these races, though I haven't registered for them all. I learned that in the last 2 years, I've lost a bit too much money to races I ended up not running because of various issues. So I'll sign up as each one gets a bit closer and it looks like I'll be ready for it. What about you? Got any races or athletic events that you're training for? How do you keep on target?